On December 29, ,2014 I wrote a blog post New Year's Genealogy Resolutions for 2014 - Did I Achieve Them? At the end of reviewing my 2014 resolutions and deciding I was writing too may resolutions and expecting too much of myself, I set one resolution for 2015. "So 2015 will be my year of writing - novels, tutorials, family histories - I plan on writing and creating ebooks and paperbacks. It's going to be my fun year." 2015 is almost over. So how did I do? I'm pretty happy with my progress. I focused on my writing and am pleased to say I accomplished quite a bit. 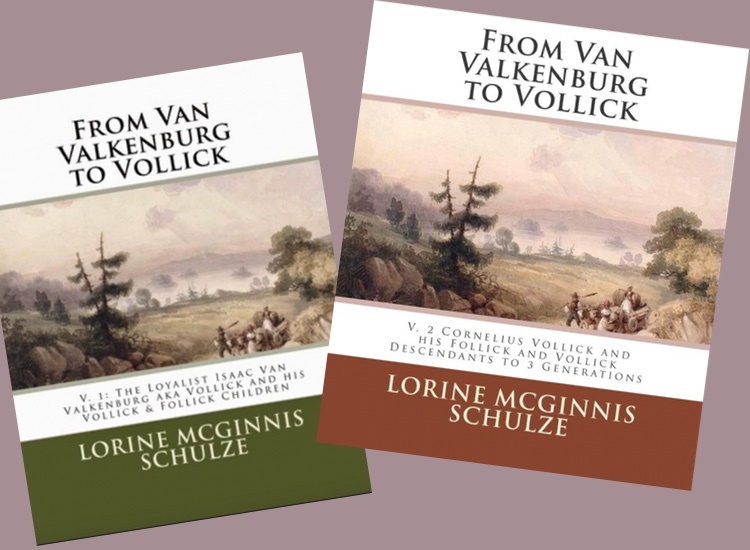 In March I published the first two volumes of my planned series on the Loyalist Isaac Van Valkenburg aka Vollick and his children. A third volume about Isaac's son Storm Follick is almost ready for publication and I feel very good about that. 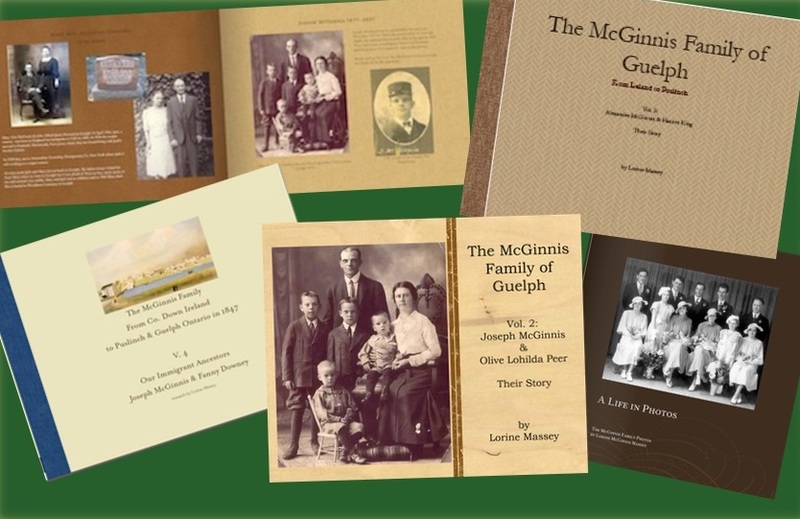 I also published several private family history books which are not for sale but I distributed to family members. My 4-volume set of books on the McGinnis family (my maiden name) is finished and each of my children has copies. 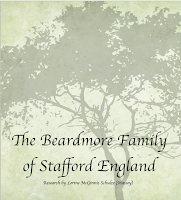 Work on a book of the Beardmore family is in progress for my nephew's wife. It's almost done and that's another achievement I feel very good about. I stuck to my commitment to write a daily blog post on Olive Tree Genealogy - another thumbs up because it was not always easy. Many days I did not feel like writing or I couldn't think of anything to say! But I like the discipline of meeting the commitment and I love writing so I was able to see even the bad days through. My writing took off even more when I also began writing articles for Legacy Family Tree in 2015. That has been a wonderful experience and a different style of writing which I am thoroughly enjoying. 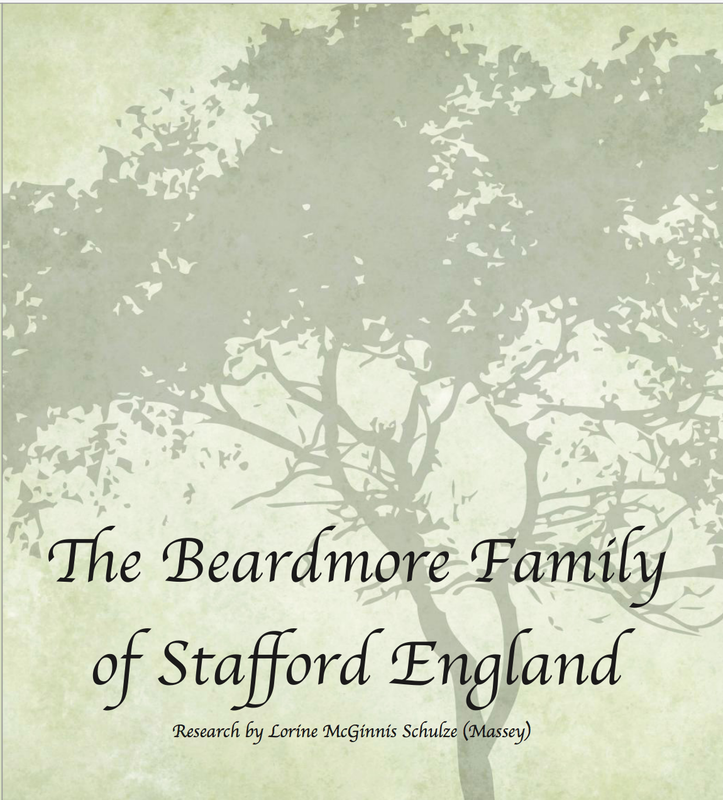 Then just last week another well-known Genealogy company asked me to write for them. That recognition is very gratifying, and the topic for January is a fun one. I recognize this anxiety. It is the same anxiety I felt at the first (and only!) showing of my artwork. I was very worried that viewers would say it was terrible and not fit to be hung in the show. It's a type of stage fright and I have to work very hard to overcome it. I actually sold a painting at that show so I guess my nerves were not warranted. That is something I need to work on next year - overcoming that anxiety hurdle and finishing my novel. One other quiet goal I had was to focus more on Social Media, in particular Twitter. I set a goal to reach 10,000 followers on my Twitter account (@LorineMS) by the end of 2015. I'm happy to report I now have 9,922 but somehow I doubt I will have 78 more followers in the next 4 days. I also joined some new Social Media channels, namely Instagram and Periscope but I have not been able to devote as much time to them as I'd like to. I'll make that one of my goals in 2016 - continue growing my Twitter profile with quality followers, and find time to work on Instagram and Periscope. But mainly in 2016 I will continue to focus on my writing - both non-fiction and fiction. Of course I will continue my genealogy research as well. I look forward to new challenges and opportunities in the New Year! What are your goals for the coming year? Congratulations on your accomplishments in 2015. It sounds like you had a real challenge. Many writers are nervous about their first few novels. The important thing is to keep working at it. Let the reader decide if they like it or not. Some will and some won't; that's a fact. My goal for 2016 also includes focussing on my writing. I'm also going to hang out my editing shingle and actively look for new clients. I've been editing for people I know for two years, and now I feel I'm ready to do more of it. I've asked a genealogy friends on CT if she has any ideas. I can do whatever you need. Remember that I will be away for SLIG 10-17 January.